The GRI broadcast studios continue to evolve. I write these articles to help benefit others who do podcasting or, as I do, use BlogTalkRadio with Skype to host their shows. This single article made it possible for us to change the entire way we did broadcast on BlogTalkRadio. Between that and the acquisition of a Belkin Desktop Skype phone, we experienced a complete revolution in the way we do our shows. Dial in on the Belkin Desktop phone. Mute the phone and turn down the volume. Place the handset on a towel to muffle any noise. 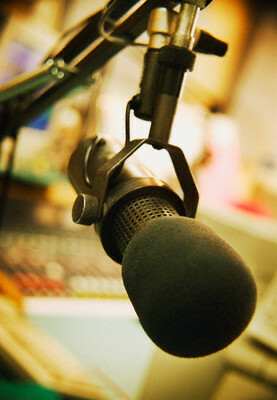 On Blogtalkradio, mute the host mic for good measure (via the switchboard). Dial in from the broadcast computer. Answer the call in via the switchboard. Showtime T-1 minute, turn down the mixer input for mic and go into audio isolation and let the show start. Our two-studio setup is very mature now and we alternate studios depending on what we want to do. I refer to the studios as "A" and "B". Studio "A" is used for our primary show studio and is set up for in-studio guest interviews and podcasting work. It is soundproofed fairly well and has a very custom setup for our microphone work. We use a Shure SM7B studio grade microphone tied into a Behringer 1002 mixer and USB connection to the broadcast computer to tie the entire system together. The ART tube MP preamp does a great job boosting the SM7B audio levels to a point where we can really drive the inputs properly. I've had to engineer this solution over time and was nearly ready to give up on the ART preamp until the purchase of the Behringer 1002 which balanced things out nicely. It is now a very acceptable setup and very enjoyable to do shows with! Studio "B" is used as the EVP-live-broadcast system with our paranormal research work done from here on Thursdays. It also doubles as the emergency studio in case we have issues with Studio "A". As we have a lot of trees over studio "A" at the moment, I'm not too eager to be in "A" during storms, so "B" is the better place to be when we need to do shows during serious snow or rain storms. It is expensive, but a good reference on HOW to use your voice and develop it for broadcast work. I'm still no professional, but am getting there! There are many good books on voiceover work and voice acting that I also have picked up along the way and it makes sense to study them often and keep listening to other experienced voice actors and learn from them. You are never too old to quit learning. It's been a journey! I'll never be done with the studio, but I'm enjoying it very much and will keep you up to date with how we are doing as things evolve. The lessons we've learned to date revolve around the fact that dual-Skype dial-in on a single high-speed network line is possible. This realization has saved us having to use the cell phone to dial in and we've experienced no dropped calls yet when using the Belkin Skype dedicated desktop phone to host the call. The other item is to never quit searching for improved broadcast quality. By doing the needed work to improve studio quality you will really get to know your gear and be able to configure it on a moment's notice when special requirements rear their head unexpectedly. Finally, learning to use the Skype metrics reports to track what is happening with your broadcast computer is essential for success. Learn to watch what your network is doing and make sure to tune it as needed to insure you can get the most out of your Skype dial-in connection(s). Feel free to write in to share your stories or ideas about broadcasting over the internet!